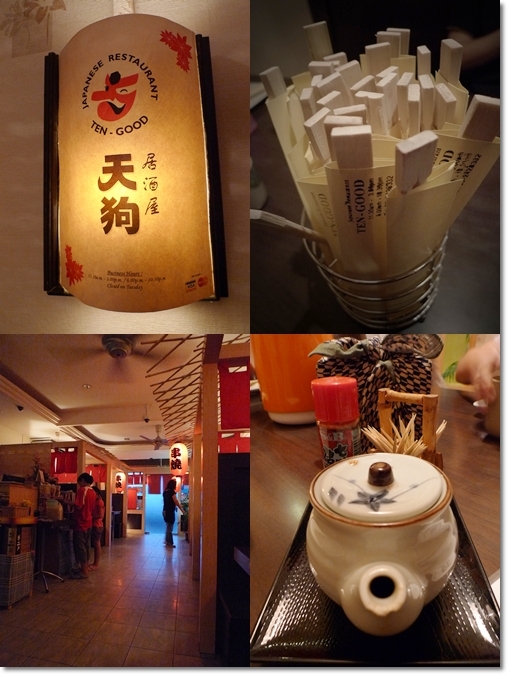 Tengood Japanese Restaurant – Really GOOD? 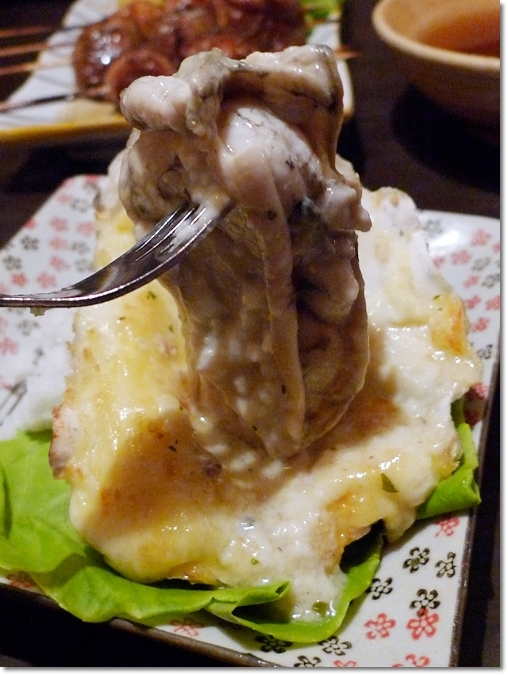 Now let me share my current favourite Japanese restaurant in Ipoh with you readers. Previously I was an ardent fan of Akamomiji‘s, until the last few visits that revealed some rather poorly executed cooked dishes, and mediocre service. Waraku became our favourite then, with their cheap RM15 lunch sets available on weekdays, with close to 20 choices. And they STILL grill some of the best kushi yaki in town (grilled meats and vegetables on skewers, like our satay without accompanying dipping sauce), bar none. Of course there’s the Kizuna which I have neglected since the first review, A Lai I that cooks up a variety of mean teppan yaki dishes, and Sushi East that well, best left unsaid. Still remains a mystery as to why I have not written about Kampai yet, possibly the first and definitely longest running Japanese restaurant in Ipoh. Kampai serves what could be the most value-for-money set lunch (around RM15 each) with sizeable portions, and lots of varieties. And so there we were on a fine evening, seeking for a bite (or slurp?) of supposedly fresh and plump oysters. (*Pardon the incompetence, I failed to inquire about on which days they got their freshest supplies of seafood, but give them a ring and the lady will be glad to inform you). I visited Tengood a few times before this, for lunch usually since the place is located right smack in the midst of a bustling Greentown Business Centre which is close to my previous working place. 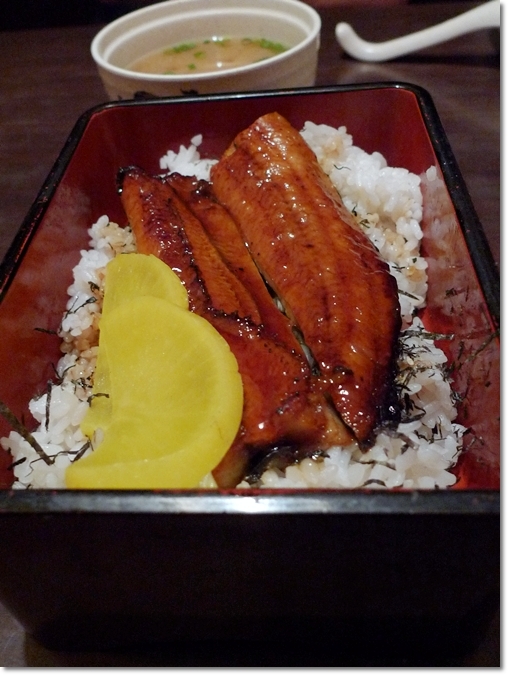 Wanna know why this particular Japanese restaurant impressed me so much that evening? Read on to find out …..
Kushi Mori – Chef’s Special (RM13.50/USD4.00) for five skewers/choices picked by the chef. Walking into Tengood, one can’t help but get the feeling that this is just another dodgy ramen outlet, or izakaya-wannabe. 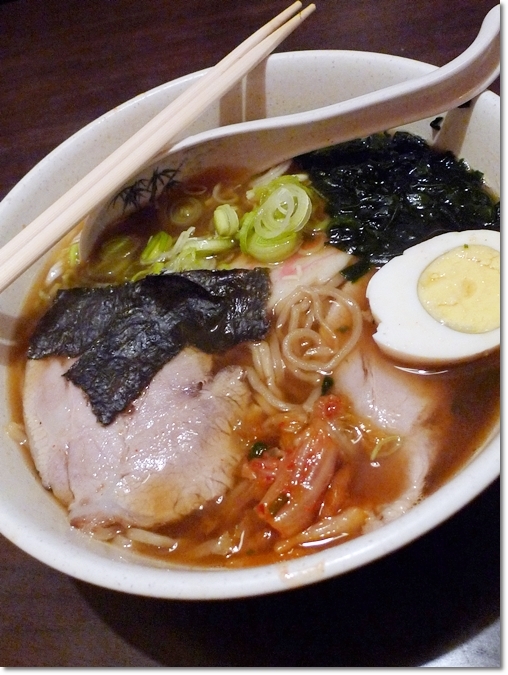 (If I’m not mistaken, there’s a Ramen Shop in Medan Ipoh Baru with almost the same setting … is that their branch?) Very dim lighting, with red paper lanterns hanging from the divided cubicles lighted by a single yellow lamp (hence the poor quality of the shots, sorry), and a relaxed atmosphere best summed up the ambience. If you’re in a larger group (say, around 10 pax) you can choose to be seated in a separate compartment with tatami mats. The menu covers almost the exact items served at Waraku. Most obvious was the one page solely dedicated to grilled items on skewers with a sweetish sauce; commonly referred to yakitori or kushi yaki (non-poultry version). Priced from RM3/USD0.90 onwards for a stick, take the skewers with tomatoes, enoki mushrooms, or the ‘mushroom king’; all wrapped with an absolutely mouth watering slice of grilled bacon. 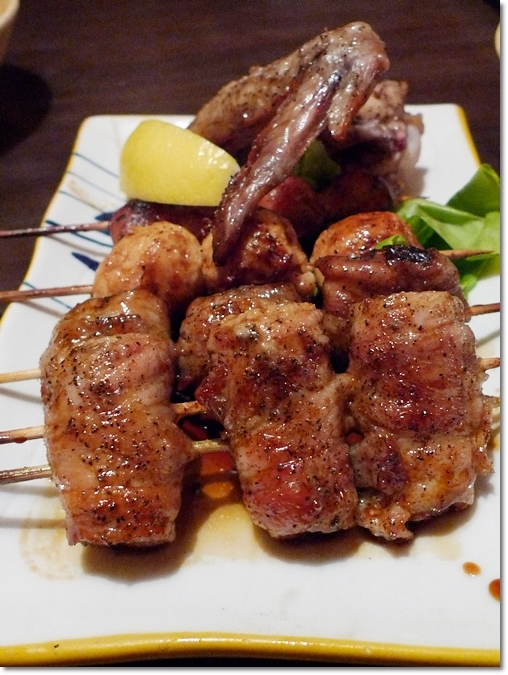 The chicken balls (tsukune), gizzards, and chicken wing are good, if you’ve an aversion to anything porky. But WHY SHOULD YOU?! Una Don (RM25.50/USD7.70) – Nothing much to shout about, yet decent enough to warrant another round. The price of the food at Tengood may be slightly higher than the average Japanese restaurants in Ipoh (the sets at more than RM30 each, mains at more than RM20 and sides from about RM10 onwards) but rest assured that they do not skimp on the portions or compromise on the quality of the ingredients. Most notably their fresh oysters comparable to the size of my palm (and you can imagine how big my hand is, being a Motormouth and all …), that was bursting with sweet juices although I chose the cheese-baked version. 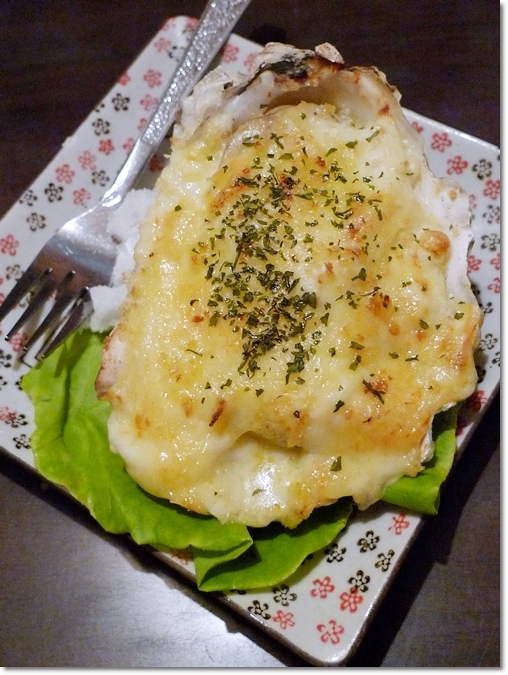 One single mollusc was all that was needed to satisfy that craving for some oyster-lurve …… In part, thanks to the rich and creamy cheese as well. And Tengood serves the BEST ramen I have ever tasted in Ipoh. Not that there are many good options around. I was never really a fan of soupy noodles, yet I found this absolutely delicious. I finished everything to the very last sip; although that cheesy baked oyster was already crying out for curtain call in my stomach. 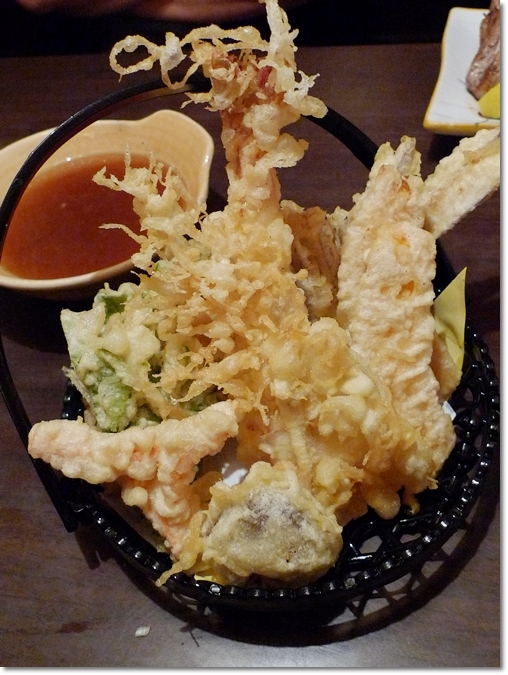 Mix Tempura (RM19.90/USD6.00) – Assorted batter-coated vegetables, fish and prawn served with tentsuyu sauce. The wait for our food was not negligible though, for the kitchen was churning out food at a rather slow pace. To a point when we wondered whether were they seriously understaffed? By the way, the Tempura was splendid. With two bowls of hot (yes, not even warm) tempura sauce (tentsuyu) provided to be shared, the grated radish came in abundance; soaking up the sauce like a sponge. Though only one prawn was served, the others being the usual vegetables, fish, mushroom and such. The batter was not soggy and very crispy, without a dominantly unpleasant flour-ish taste found in most commercial batter. Some of the lunch sets we ordered way back then. Sorry, no recollection whatsoever of the names or the prices. But should be around RM15-RM30 (USD4.50-USD9.00) per set. And their sashimi (raw sliced fish and other seafood), fresh giant scallops (seasonal price, and depends on the day’s supply) and sushi are fantastic choices as well. Now I made myself craving for some Japanese cuisine …… Silly me. Here’s a GOOGLE MAP to Tengood Japanese Restaurant. 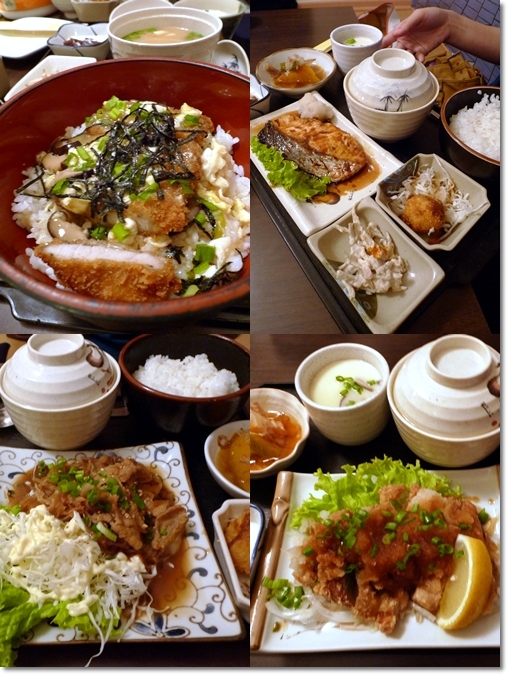 Now you make me crave of Jap food again! Btw, have you been to Tomi Japanese Restaurant? It’s near Michaelangelo’s. Yeah loh … I gotta get my fix this few days! And yes, I have been to Tomi a few times, but still yet to write about the restaurant. Good thing about their value lunch sets is that they give thick cuts of sashimi as well. So easy for you guys! Especially when C&C and KBCG are always around for a feast! Great looking stuff esp the succulent oyster. Must go when home in Ipoh. Sure lah, FCOE’s favourite ma …. salmon teriyaki. Hehe, so long never been there for lunch though. Dinner sets slightly expensive in comparison. The sets were from a lunch outing way back last year. I still prefer ordering ala carte though, as you can mix and match instead of the same rice, miso soup, chawan mushi combo. So let’s do the gathering here instead? Hehe … sien already right? saw it many times before, but never stop to enter..
not really a japanese food fan.. but maybe i’ll try it one day..
That was bake oyster? Very huge ler, or ur photo was deceiving? the oyster is real big. Liked the food but will not be returning cause the whole night one of the waitress was yelling welcome at the top of her voice n she continued the last syllable for I would think 1 minute. It was a total turn off for my family. sorry. !!!! Haha …. alex, you sure about this? Maybe she was being slightly too friendly and warm to the customers. But can’t blame her for trying right? Yeah,ten good!always the best!food very nice and service good!